A plane was forced to make an emergency landing after screens used by the pilot went blank mid-flight. 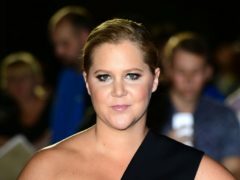 Amy Schumer has cancelled a stand-up show in Dallas after being taken to hospital with severe, second-trimester nausea. Dallas star Linda Gray compared Donald Trump to JR Ewing, the fictional oil baron and villain from the revered US soap. A heartbroken family have today paid tribute to a North-east boy who died in a bike crash at the weekend. A 16-year-old cyclist has been killed in a crash on a North-east road.